Major technology conglomerate Philips announced that they will be re-entering the video game space with the launch of the their own retro game console. Set for release later this year, Philips revealed that it would be launching the CD-i Classic, a miniature re-imagining of Philip’s innovative CD-based console from 1991. The new mini system will launch with a signature paddle-shaped remote game controller to replicate the kind of controls the original system launched with. A usable game controller, Philips announced, will be available at an undetermined date in the future. Philips hopes this will allow players to experience the system just as they would have back in the day. The CD-i Classic will game packed with several built-in games including Zelda’s Adventure, Hotel Mario, Zelda: The Wand of Gamelon, Link: The Faces of Evil, and A Visit to Seasame Street: Numbers. Although the new system lacks a CD drive, the speed of loading games off of the internal memory has been artificially constrained to that of a single speed CD-ROM drive in order to replicate a more authentic experience. Interest in the device has been high among consumers due to the console including many rare sought-after titles. Online retailers have already ceased taking additional preorders due to the higher than expected demand. “Mah boi…,” stated another individual before being cut off by our correspondent for their use of an outdated meme. Philips has also teased other additional features to the mini console that weren’t in the original system such as the ability to output to modern displays and a feature to capture gameplay footage directly into Windows Movie Maker. 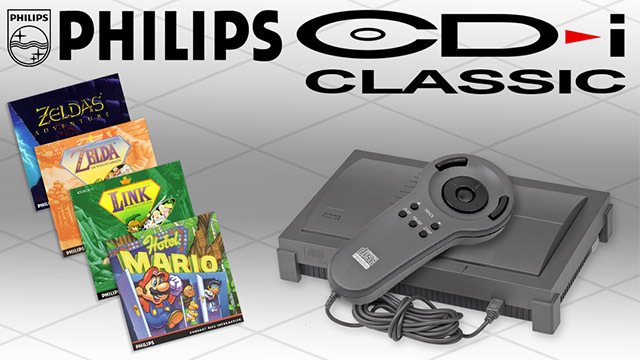 The Philips CD-i Classic will be available starting November this year and will come with one bundled controller and a power adapter. In preparation for the launch, many gamers began hurriedly copying CD-i games onto Raspberry Pi’s in order to justify why they didn’t need to purchase the console. Funny enough is that I bet it would get a slightly successful release. People just wanting to try out those crappy Mario and Zelda games.